Missing or damaged shingles – Having missing shingles is a sign that you need roof repairs. Missing shingles are most often caused when the shingles were not initially installed right. 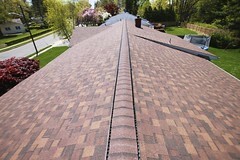 It is always best to have a professional install your shingles to prevent them from being blown off. A few dislodged pieces of granules are nothing to be concerned about. 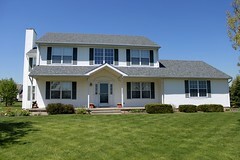 It is when you are finding many in your gutters that there is probably an issue. The lifespan of your roof will not be as long as it should be as the granules protect your roof from all the weather elements. 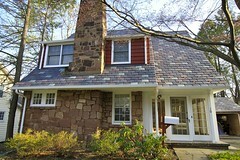 Especially in New Jersey, it is important to have a high quality roof. Curling shingles – When shingles curl, that is an issue because they provide your home with the proper insulation and protection from the elements. 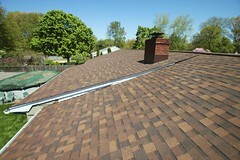 When the roof is not insulated right, it causes moisture to build up in the shingles, thus the curling. Buckling shingles also come from excess moisture trapped underneath or if the new layer of shingles was not done properly. Water spots on your ceiling – Water spots are not just cosmetic issues. Water spots show the beginnings of a leaking roof, which is something that a responsible homeowner should not ignore. This can cause major water damage and leaking in your home later on and will be extremely expensive if ignored. Wood rot is also caused by water, and can have the same devastating results. Additionally, animals are attracted to the rotting wood and use is as an access point into your home. Get your roof repaired as soon as possible to prevent invasion from woodland creatures.